Hot Tub Guide, your best online hot tub information resource. 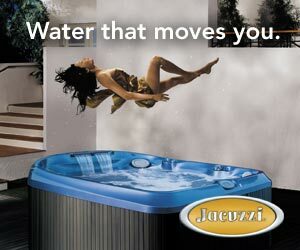 We're dedicated to guiding you, the potential spa buyer, toward finding the best hot tub to meet your needs. We know that hot tubs are an important investment and we want to help you explore the benefits, features and styles that most appeal to you before making that investment. It's best to compare hot tubs, investigate your options, and make a well-informed buying decision. As with new cars, hot tubs are expensive, complex pieces of machinery that should last a long time. That's why it's important to investigate the manufacturer, the process used to build the hot tub and its components, and the dealer to ensure you buy the best hot tub. You'll also want to take a very close look at the hot tub warranty. Be sure to read the fine print. Also remember that a hot tub warranty is only as good as the company's ability to stand behind it. You'll want to shop around to ensure that you've identified a spa with all the features that fit your personal needs. At hottubguide.com, you can use our Build Your Dream Spa tool and Hot Tub Guide Checklist to help you make the best choice. Beyond that, you'll want to prepare for the delivery, installation, and ongoing maintenance. Why are full-foam insulated hot tubs better than one that's not? Do hot tubs require any special plumbing? How hard is it to maintain hot tubs? How do I know if it will fit into my backyard? Do I have to lay concrete or prepare a special place? Whether you're interested in hot tubs for socializing with family and friends, or because of the rejuvenating and naturally rehabilitative qualities of hydrotherapy, our experts have all the answers to your questions. A hot tub is an investment in health, relaxation and fun. As with any investment, it's best to investigate your options and plan your purchase well. Create a custom list of hot tubs perfect for you! Get started, and click Next Step - it only takes a minute! What is the best temperature for a spa hydrotherapy session? How hard is it to maintain a spa? How much time do I have to spend taking care of it? What should be covered in a hot tub warranty? Who takes care of my spa if it breaks? Get inspired to create your own backyard spa experience. Download our convenient, customizable list of all the questions you might want to consider before buying a new spa.